Juniors 3D Football Textured Bib | Multicolour | Helps to protect baby cloth from getting stain. 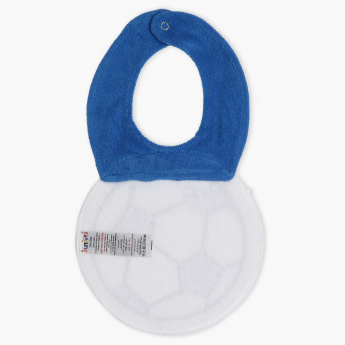 Plan your kid's mealtime with the help of this football-inspired bib. 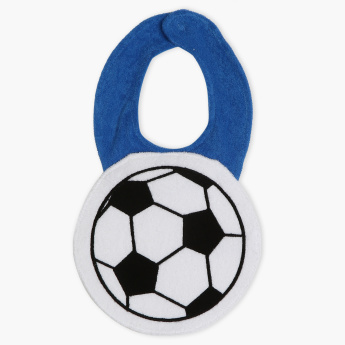 Sporting a soft make with, the piece is comfortable to wear owing to the press button closure.